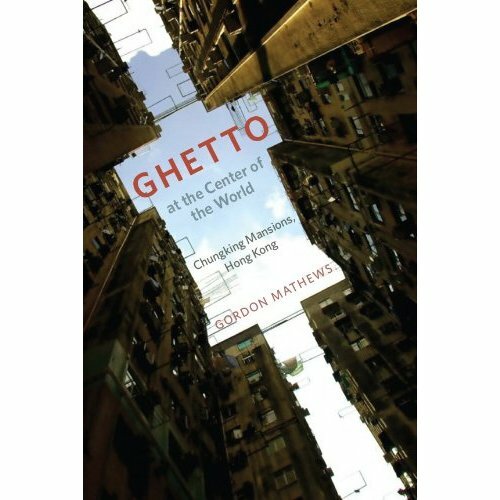 Ghetto at the Center of the World: Chungking Mansions, Hong Kong, by Gordon Mathews (University of Chicago), 241 + xi pp. Chungking Mansions is a microcosm of this dynamic and cosmopolitan city that has grown very wealthy as an entrepôt between China and the rest of the world. Amid the chic affluence of modern Hong Kong, Chungking Mansions is an outpost of the developing world, a ghetto as Mathews describes it, and for this reason it is universally disdained and even feared by Hong Kongers. As Mathews points out, this is ironic as the majority of the businessmen – and indeed the asylum seekers – who are based in Chungking Mansions share the middle-class, aspirational values of Hong Kong Chinese: the “building popularly viewed as a cesspool of sleaze is in fact a staunch bourgeois enclave of chamber-of-commerce capitalism, albeit with a few corners cut”. If Chungking Mansions is a ghetto, it is a middle-class ghetto and one that – as Mathews’ fascinating research shows – has much to teach us about the workings of globalization in an age of neoliberalism. Indeed, Mathews argues that Chungking Mansions provides a fascinating insight into “low-end” globalization: not the slick operations of multi-national corporations, but traders schlepping goods around the world in suitcases. Most come from sub-Saharan Africa, tempted here by the cheap products made in mainland China and the fact that Hong Kong has a largely open border, admitting asylum seekers and merchants alike without too much fuss. Mobile phones are what traders are mostly looking for. Mathews estimates that at least 20% of the mobile phones now in use in sub-Saharan Africa have passed through Chungking Mansions. Some 19 million phones are sold here each year, including China-made branded and unbranded phones, Chinese knock-offs (with names such as “Sory-Ericssen” or “Nokla”), illegal copy phones and used ones returned from Europe. One trader from Tanzania regularly carries home 700 phones in his luggage, making US$500 profit per trip. These African traders are “the Marco Polos of developing-world globalisation”. This is a scholarly study, yet Mathews writes with heart-felt affection for this remarkable building and its people: “I seek in this book to celebrate Chungking Mansions in its extraordinary and largely harmonious cultural diversity. It is an amazing place, one that should be lauded in Hong Kong and the world over.” He does not obscure the dark side to this building: its “seediness”, the dodgy deals and the illegal foreign workers. But he argues that these are integral to the uniqueness of Chungking Mansions and its transformation into the “Grand Central Station in the passage of globalized goods from China to the developing world”. According to Mathews, the low-end globalization that he has documented in Chungking Mansions is what the majority of the world’s population experience today. But globalization may yet be the downfall of Chungking Mansions. Many African traders are now bypassing it and travelling directly into southern China to conduct business. There are already said to be some 20,000 African traders in Guangzhou, some of whom have become extremely wealthy. Chinese companies are also moving into African countries, selling their wares directly and cutting out the traders and their suitcases. In the future, Mathews predicts that much more of the world will resemble Chungking Mansions and the low-end globalization it represents. One day we may all live in the ghetto.